You will be given a Free reference e-book to read which has 628 pages And the test will be based on that e-book. MCTS or the Microsoft Certified Technology Specialist Windows Server 2008 Active Configuration certification works effectively in proving your skills and expertise in running and configuring Microsoft technologies specifically the Windows Server 2008. It is ideal for you if you have plans of becoming an expert IT professional and work in highly complex computing environment usually experienced by medium-sized and large enterprises. It should be noted that in order to earn this certification, you will be required to take the MCTS Windows Server 2008 active configuration test. This exam actually aims to measure your skills and abilities in measuring lots of vital technical tasks. Among the usual coverage in this test include the configuration of DNS or Domain Name System designed for active directory, the configuration of its zones, server settings and zone replications and transfers, configuration and management of active directory infrastructure including its forest or domain, trusts, sites, global catalog and active directory replication and effective configuration of active directory services and roles. Note that all these topics are explicitly explained in the free study guide included in the free MCTS Windows Server 2008 practice course which is now offered by Brainmeasures to interested professionals. 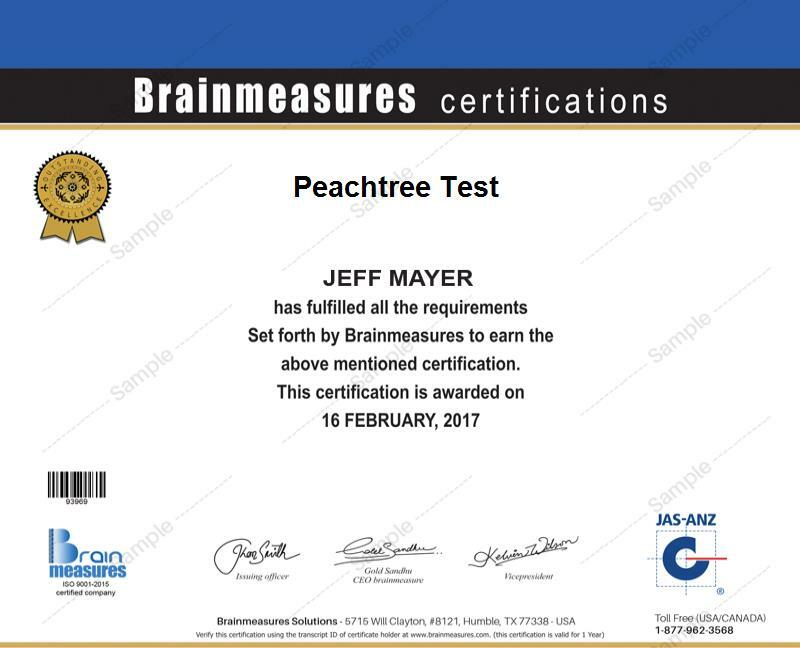 This makes it easier for you to absorb in-depth and highly accurate information about all the topics that you should consider completely understanding if you want to easily pass the actual certification test. With its free practice test, your chances of knowing how the exam takes place and how you can prepare for it are also increased. The kind of knowledge that you will get from enrolling in the free MCTS Windows Server 2008 practice course from Brainmeasures is highly impressive that it can help you in easily handling all the pressures that usually form part of the MCTS Windows Server 2008 Active Directory configuration test. What makes this free online certification course more impressive is the availability of its easily understandable free study guide which contains highly detailed, accurate and updated information about every aspect related to working as a Microsoft Certified Technology Specialist who focuses on configuring and managing Windows Server 2008. Its free practice test is also developed in the most impressive and accurate manner possible. It is a good simulation of the actual test so you will get an idea about what you can do to make preparations. With this, your chances of acquiring a passing or high score after deciding to take the test are dramatically increased. How to effectively configure the roles of active directory server? How to efficiently configure group policy objects? Lots of professionals are going to enjoy numerous benefits from enrolling in the free MCTS Windows Server 2008 practice course introduced by Brainmeasures since it works in providing all the necessary information for passing the MCTS Windows Server 2008 Active Directory Configuration test. It is primarily intended for aspiring Microsoft certified technology specialists IT professionals, multiple domain and physical location controllers, network, connectivity and database providers, network managers and network consultants and engineers. Being a successful passer of the MCTS Windows Server 2008 Active Directory Configuration test also enables you to start earning big. It helps you in grabbing the position of a Windows Server Active Directory Configuration Specialist and earn an average annual salary of $90,000. If you decide to focus on working as a Microsoft Certified Technology Specialist, then expect this profession to let you receive approximately $40,000 to $112,000 annually.